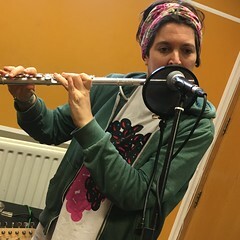 Rat The Magnificent and Bat Bike performed live in session on Resonance FM on Saturday 2nd April 2016. Sensational – Who Dat Dude? This entry was posted in dexter bentley, hello goodbye show, Hello GoodBye: Playlists, resonance fm and tagged bat bike, dexter bentley, hello goodbye, rat the magnificent, resonance fm, that thing we do, trashmouth. Bookmark the permalink.